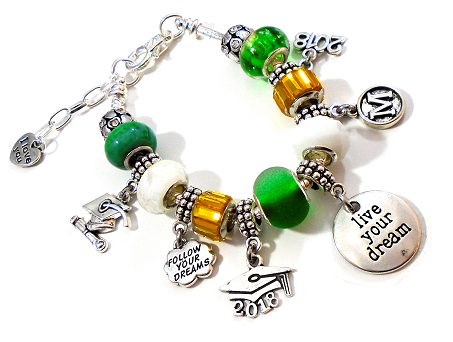 Custom & Personalized Class of 2018 / Class of 2019 Graduation Snake Chain Charm Bracelet with School Colors ! 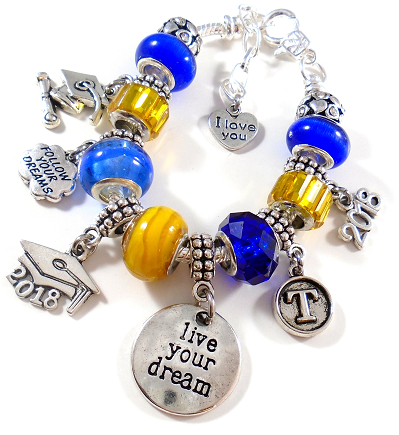 Home > Graduation > Custom & Personalized Class of 2018 / Class of 2019 Graduation Snake Chain Charm Bracelet with School Colors ! 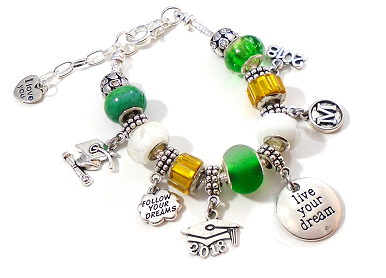 6.3" 6.7" 7.1" 7.5" 7.9" 8.3" 9.1"
Beautiful snake chain bracelet for your 2018 or 2019 Graduate! 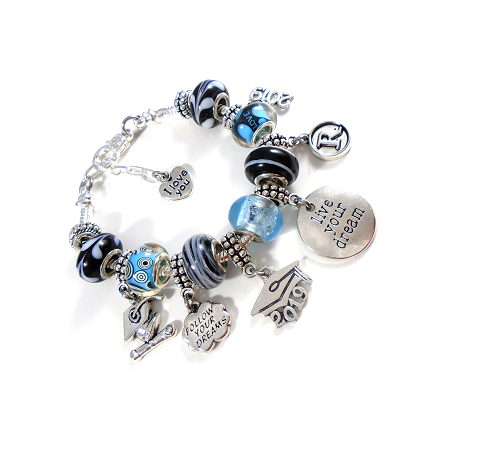 You may select your bracelet size which will also include a 1" extender with an 'I LOVE YOU' Heart charm. 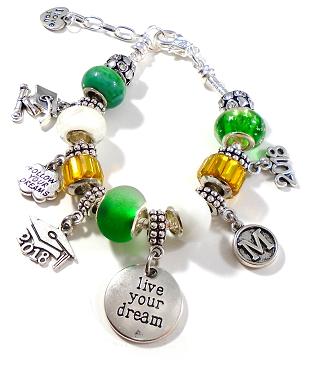 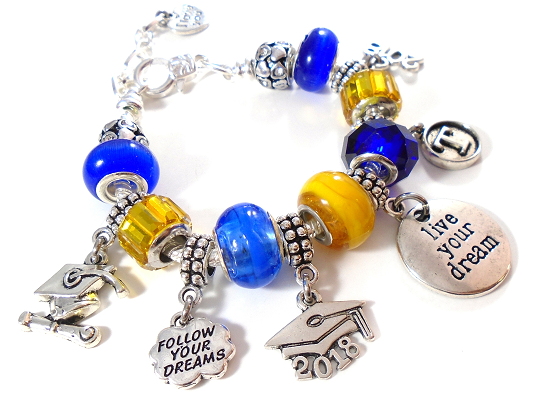 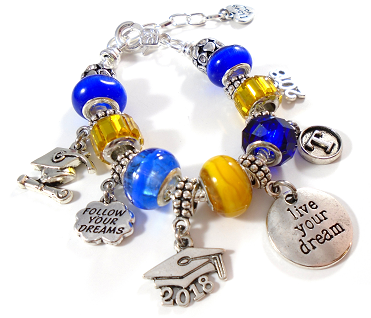 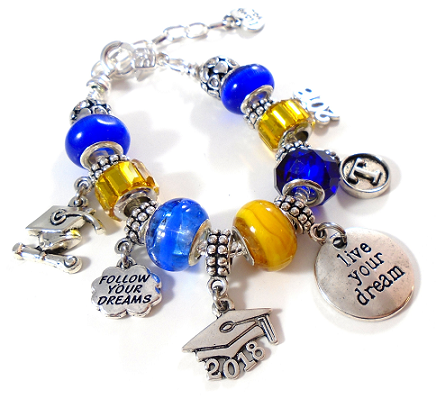 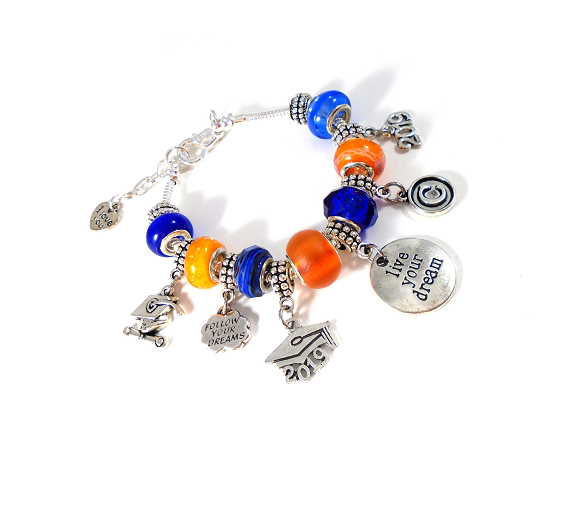 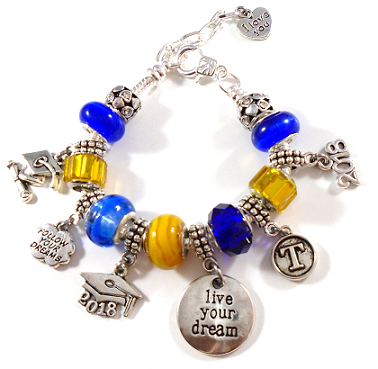 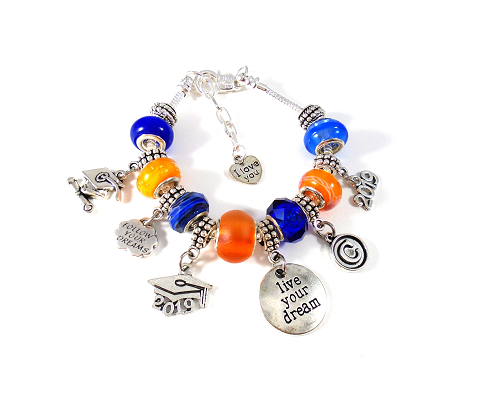 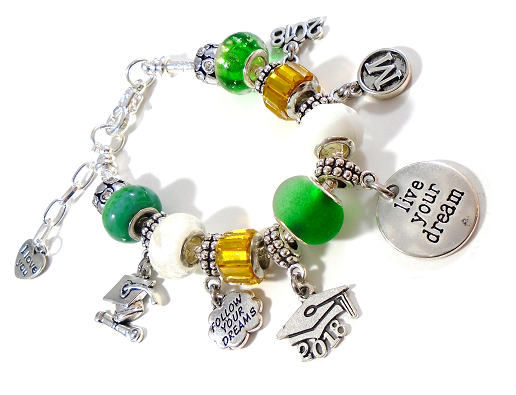 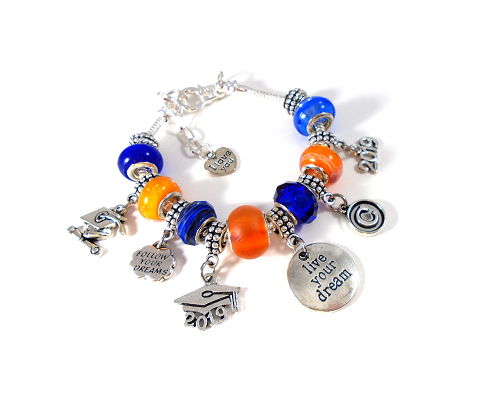 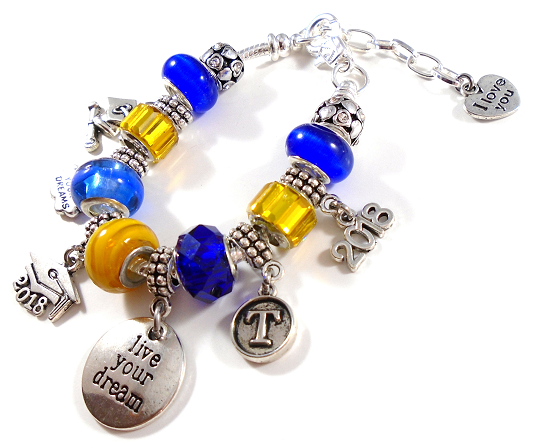 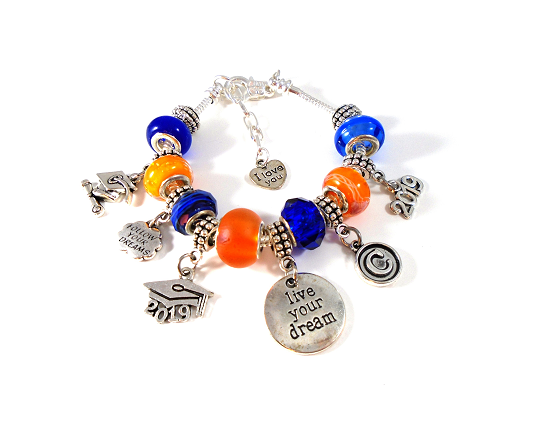 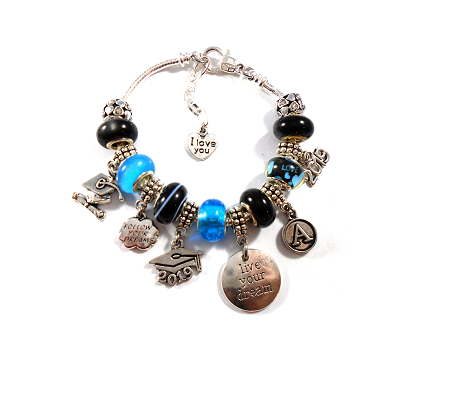 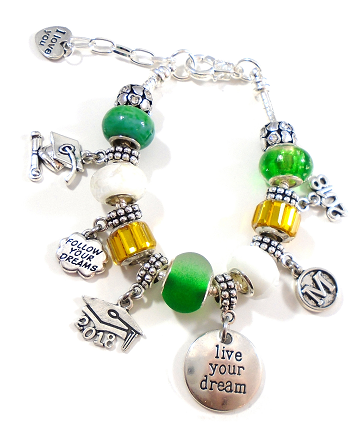 Your personalized bracelet will include a 'Graduation Cap & Diploma' charm, 'Follow Your dream' charm, 'Graduation Cap 2018/2019' charm, a round 'Live Your Dream' charm, YOUR CHOICE of initial charm and a '2018/2019' charm with various euro style beads in your choice of School Colors! 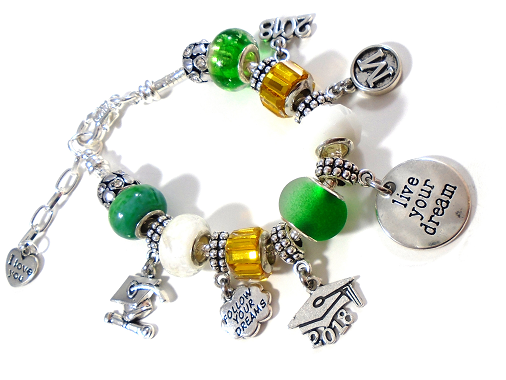 Adorable gift for ANY age group ~ Elementary, Middle, High School, College & Grad School ! 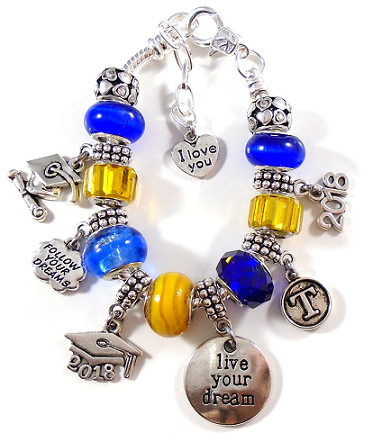 Class of 2018 / Class of 2019 Graduation WITH OCCUPATION charm ~ Key chain or Purse Charm with Swarovski Birthstone Crystal / School Colors !